When it comes to looking after your home and family there are a number of things you can do to make life easier in the event of something unexpected happening. No one likes to imagine such occurrences but if they do arise then having preparations such as insurance in place might go a long way. There are a number of options available to choose from, so what kind might be best for you? Central heating and hot water is something that it’s probably fair to say many people take for granted. Until, that is, one or both stop functioning as they should. This can be a frustrating and expensive experience, especially if the failure occurs during a cold snap, so taking out boiler insurance may be a worthwhile consideration. 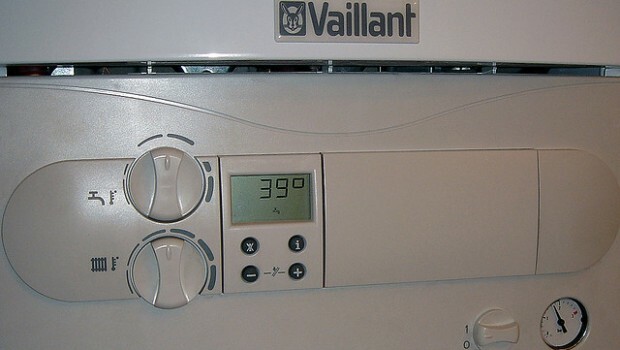 Some policies even include an annual boiler service, while others will simply provide you with the peace of mind that if something does go wrong you shouldn’t be left in the cold for long. If we stop to think about the items in our home that are not permanent fixtures then it can soon become evident their overall value is rather considerable. So in the event of burglary, flooding or fire it can be a great relief to know the cost of your possessions is covered. It’s always worth shopping around to find a good deal, as well as ensuring the policy you choose is suitable for your needs. Typical items covered include clothing, electronics, bedding, kitchenware, furniture and frozen foods, so it could prevent your family from being hit with hefty replacement costs. If your home is at risk of flooding then now could be the time to act, particularly in light of the extreme conditions witnessed in recent times. At this time of year many families are likely to be gearing up for a little time away. But before you head off on your hols it’s essential to pick up travel insurance. This normally covers you for a whole host of medical expenses, baggage loss and cancellations so can save you hundreds if not thousands of pounds in the long term. Check the details of each policy before taking it out to see what is – and crucially isn’t – covered and look in to whether selecting family cover is more cost effective. It might also be worth checking with your bank to find out if they can offer you a better deal than elsewhere, as some accounts include travel insurance. The structure of your home, its fittings and outside areas can be protected by buildings insurance. Homeowners often need to have this in place as part of their mortgage, with some offering this as part of the deal. Prospective buyers shouldn’t feel obliged to accept this option though and are perfectly entitled to look for a more preferential deal. It’s always worth being open about any issues that may place your property at higher than average risk as those that fail to do so may find their policy is invalid. If you’re looking to protect your family in the long term then life insurance is one of the easiest – and most affordable – ways to do so. It’s perhaps worth asking yourself if life would become more difficult financially for those around you in the event of the worst happening to you. One option is to select level term life assurance, which will pay out a lump sum if you die within a certain timeframe. Do shop around for the best deal and don’t assume that a joint policy will be cheaper than two singles as this isn’t always the case.